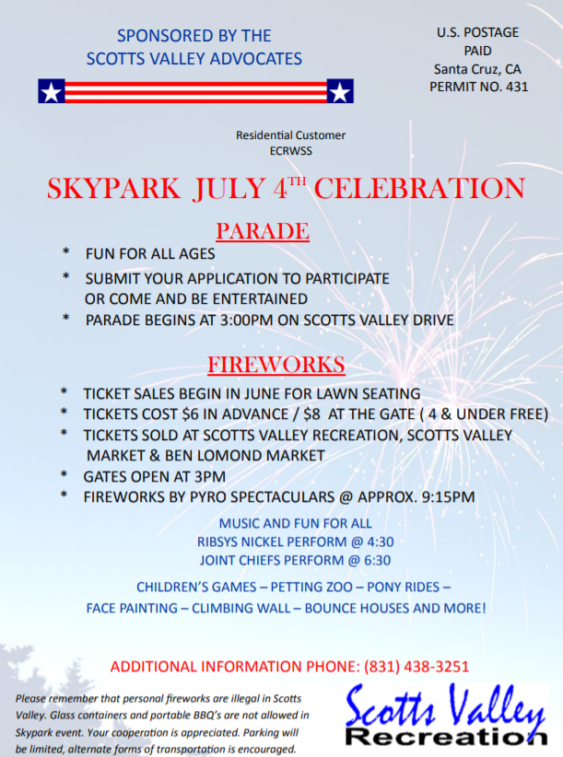 Come celebrate July 4th in Scotts Valley. 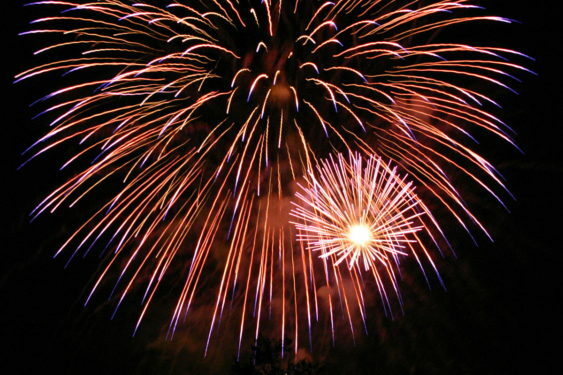 Join the Parade, flyover, fireworks,BBQ, live bands, games, petting zoo & much more. Please note that the activities & food are not included in price of admission. ATM available on site. Admission tickets are available by contacting the Scotts Valley Recreation Division at 831.438.3251.